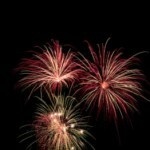 For kids with sensitive hearing, fireworks can be frightful instead of fabulous. Here are some tips to get your child to still enjoy this colorful display without suffering pain. July 4th…the very date evokes images of summer: flags waving, backyard barbeques, ice cream, home town parades and amazing fireworks displays celebrating our nation’s independence. It should be a fun, patriotic display of colors and designs in the night sky, but for kids whose hearing is extra sensitive to sound, it ends up being a torturous event. The loud popping of the firework explosions at unexpected moments creates anxiety and panic. Add to that the additional noisemakers on July 4th such as firecrackers, and this day of celebration for most people becomes a painful day for a child with sensitivities (and a challenging day for his family). • First, see if you can watch a fireworks display on TV or DVD before going to a live display. 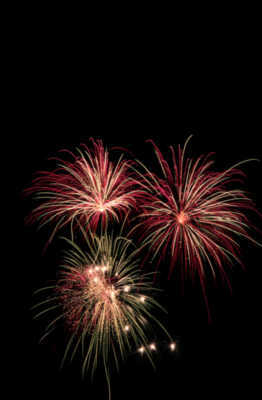 Letting your child understand what a fireworks display is all about will help decrease anxiety. Sometimes towns offer fireworks displays on the weekend after the 4th so you can view a TV display beforehand. • Park a distance away from the crowds and firework display, and stay in your car. The noise may be muffled enough to allow your child to enjoy the visual display without being close to the noise. Your child will also feel more protected. • Have your child use ear plugs or noise cancelling headphones. With the ear plugs, he can still hear some noises and conversations, but the offensive sounds will be significantly decreased. • Alternatively, have your child listen to his favorite music (either with ear buds or on the car radio) as the fireworks are going on. It will help camouflage the offending sounds. Remember, your child cannot help being hyper-sensitive to sound. It is not something he can control. It is painful and upsetting for him to be around sounds that hurt his ears. So, learning how to enjoy events on his terms is key to being able to attend or participate. For a longer term solution, speak with your child’s pediatrician about possible treatments. Also, email AskUs@marchofdimes.org and request additional resources. We can refer you to a list of books written for children (to help them understand why they feel sensitive) as well as books written for adults (to help you understand your child’s sensory issues). We’re happy to help you! We hope everyone has a safe and happy 4th of July holiday! Note: This post is part of the weekly series Delays and disabilities – how to get help for your child. We welcome your comments and input.